Equitable Life & Casualty Insurance Company has been leading the way with healthcare protection for seniors since 1935. Equitable is a Utah based insurance company that is committed to providing dependability, quality, and value for seniors. Receive prompt, personal, and professional service with Equitable Medicare Supplement Plans. Medicare Supplement coverage through Equitable is easy to get and easy to keep. With a simple yes and no application, your acceptance could be guaranteed. In many cases, there is no paper application required. Depending on your area, Equitable offers Medicare Supplemental Plans A, F, Plan G, and N. Medigap Plan A provides basic benefits while Medigap Plan F provides comprehensive coverage. The premiums for the four plans Equitable offers varies according to the amount of coverage provided by a specific plan. Equitable offers a household discount in most states. If two individuals in the same household own an Equitable Medicare Supplement policy, the discount could apply. **Plan N has up to a $20 copayment for visits to a doctor’s office and up to a $50 copayment for visits to the emergency room. No matter what your future health may be, you can renew this policy as long as you live by paying the premium on time. For one full year, your premium is guaranteed. After the first year, your premium will increase based on your age (Attained Age Rating). Your premiums will never change unless all Equitable policies like yours in your state on a class basis change. Within 30 days you can return any policy after receipt and receive a full refund if you are not satisfied for any reason. Coverage travels with you. You’re no longer restricted to use a network of providers. Most states who offer Equitable Life’s Medicare Supplemental plans have a household discount available. Underwritten by Equitable Life and Casualty Insurance Company, EquiChoice. Retirement Transitions is not affiliated with Equitable Life, but is an independently owned and operated insurance agency. 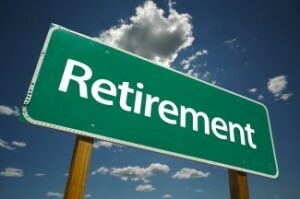 Equitable Life and Retirement Transitions are not connected with or endorsed by the U.S. government or the federal Medicare program. Plan availability varies by state. For complete details of all benefits, please read your outline of coverage carefully and refer to the “Guide to Health Insurance for People with Medicare”. You must be 65 or older and enrolled in Medicare Parts A and B to be eligible for a Medicare Supplement plan. Plans may be available for personals eligible for Medicare by reason of disability.